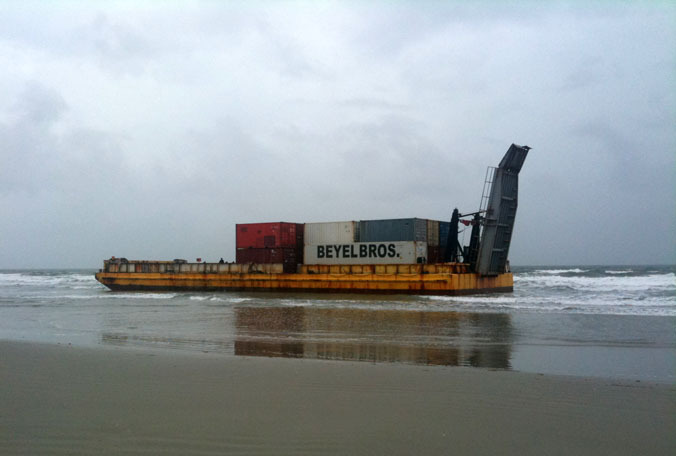 A 144 foot barge went ashore on Cape Canaveral, Florida. The barge had been under tow from the Bahamas when the towline broke. The crew was shortening the line just before entering port. Reports state the vessel was later released. No reports of damage to the barge or cargo onboard. The 53000 dwt bulk carrier Aali collided with the 20624 dwt bulk carrier Dong Fang Ocean in the Yellow Sea off Chengshan, China. The two vessels were severely damaged requiring assistance and were towed to port. The Aali had damage to her ballast tanks and was towed to Weihai. The Dong Fang Ocean was towed to Longyan. No reports had details of any injuries to the crew or pollution being released.